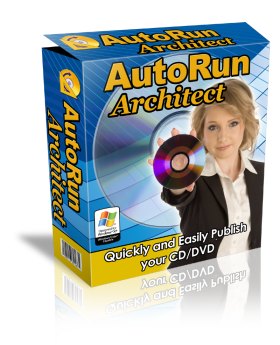 AutoRun Architect - Quickly and Easily Publish your CD/DVD! 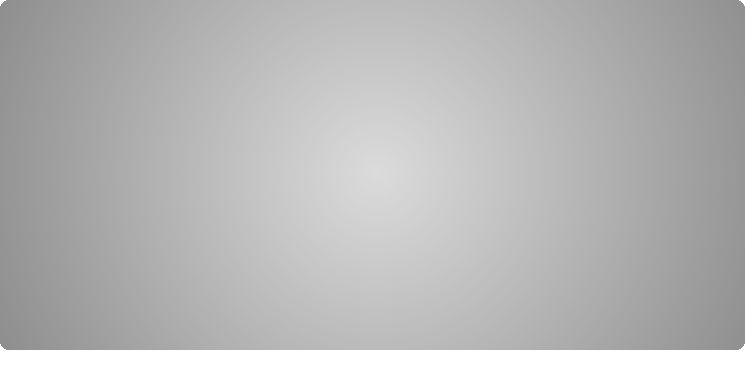 CD/DVD Publishing and AutoRun creation tool! Choose from our graphics & create stunning menus. Wide choice of powerful actions. Automatically install viewer software for your documents. Publishing your CD/DVD has never been so easy. 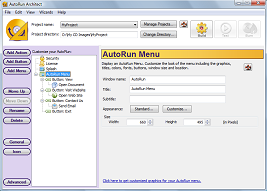 AutoRun Architect can be used to create any CD/DVD you can imagine. Need help creating your CD/DVD or can't find the feature you need? Contact us and we'll be happy to help. Digital memories of Weddings, Birthdays etc. Whether this is your first AutoRun or your 100th, whether you are a beginning computer user or a computer wiz this is the AutoRun creation tool for you! Download our free trial version or purchase now. We have a 30 day money back guarantee. If you are not completely satisfied contact us within 30 days and we will refund you the full purchase price for the product. We will even refund the shipping charges you paid if you ordered the CD-ROM!